Have you lost several teeth? Do your missing teeth make you uncomfortable when you smile or limit the foods you can enjoy? If so, dentures are a great solution for replacing your missing teeth. They can improve the look of your smile and increase your ability to eat and enjoy time with friends and family. At Napa Valley Dental Care, we can help you find an ideal solution for your missing teeth so you can smile with ease and eat more foods than you can today. At Napa Valley Dental Care, we offer many options for replacing missing teeth, including Dentures, both conventional and implant supported, Dental Bridges, and Dental Implants. We will talk to you about your dental health and your goals for replacing missing teeth, and find a solution that fits your life, your budget, and your desire for dental health. 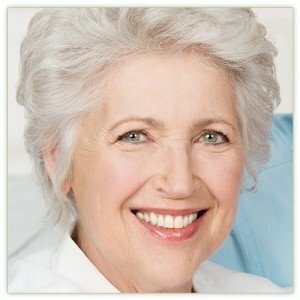 Dentures can address these issues to maintain your youthful appearance, your overall health, and your self-confidence. All our dentures and partials are previewed for your approval before completion, and all follow up visits for adjustments and repairs are free for the first 18 months. At Napa Valley Dental Care, Dentures come in three major types. They can be either partial or full, and either traditional or implant-supported with either conventional implants or lows cost mini implants. Partial Dentures replace one or more teeth, but less than an entire arch. Partial dentures may be secured by clasps that anchor the partial to adjacent teeth or attached to implants. Full dentures replace an entire set of teeth, such as all your upper teeth or all your lower teeth. They are personalized replacement teeth that enhance your smile, your bite, and even your facial contours. Traditionally upper full dentures are largely secured by the suction created between the denture and the roof of the mouth. Lower Full Dentures rest on the gums and are held in place by their fit over the gums and jawbone. Technological advances have improved dentures in recent years. They are now more comfortable to wear than ever, as well as being more attractive. Experience from Cosmetic Dentistry has helped manufacturers to design dentures that look natural, not artificial. Today’s dentures can mimic attractive smiles without producing a fake appearance. If you have rejected dentures because you are afraid they will be uncomfortable or unattractive, we encourage you to take a look at today’s dentures. You’ll be surprised at how far they have come. Please schedule a free consultation today. I have never found a better dentist anywhere! Can’t believe these reviews based on my recent experiences with Dr. Hoey. He is the most professional dentist I have ever had and it’s really rare to find one who really cares about what he does verses those who just churn it out for a living. Dr. Hoey is a quiet, kind, and Super Smart man. He’s generous with his time and very patient with people and their questions, and their needs, and their fears. And on top of it all, there’s this quiet sense of humor that surfaces at just the right time. I like feeling that I’m in capable hands. Very professional practice. Not sure about the weird yelps. I find Dr. Jack Hoey to be highly personable, knowledgeable, and kind. And a special shout out to Cheryl who manages the operation with seamless precision. Highly recommended. Experienced, knowledgable, friendly and well equipped with there own CEREC machine you can get a work done in one trip that’s takes two trips at other places. Pano and 3d X-rays help find what other dentist miss. I use them for any needed dental work and for cleanings. Found his office after a horrible time at Western Dental.